Let’s dig in so you can start creating your directory site as quickly as possible. 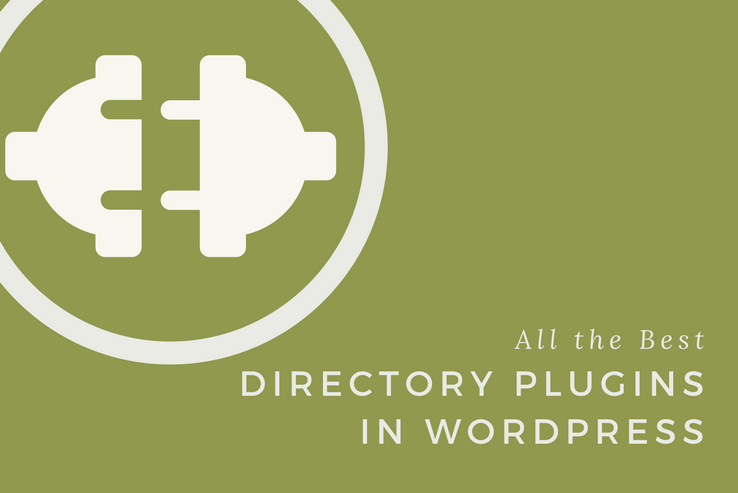 What Should You Look For In a WordPress Directory Plugin? Detailed search – if your visitors can’t find what they’re looking for in your directory, it’s not much use, right? Make sure your chosen plugin offers a quality search with enough filters for visitors to find what they’re looking for. Built-in monetization methods – unless you’re creating this just for fun, you’ll probably want some options to monetize your site. Look for directory plugins that allow you to easily sell paid listings, upgrades, and more. Custom fields – you need the ability to add custom fields to your listing pages so that you can cover all the criteria relevant to your specific type of directory. Google Maps integration – if you’re creating a local directory site, Google Maps integration is almost a requirement nowadays. It lets readers quickly find the locations that are nearest to them. 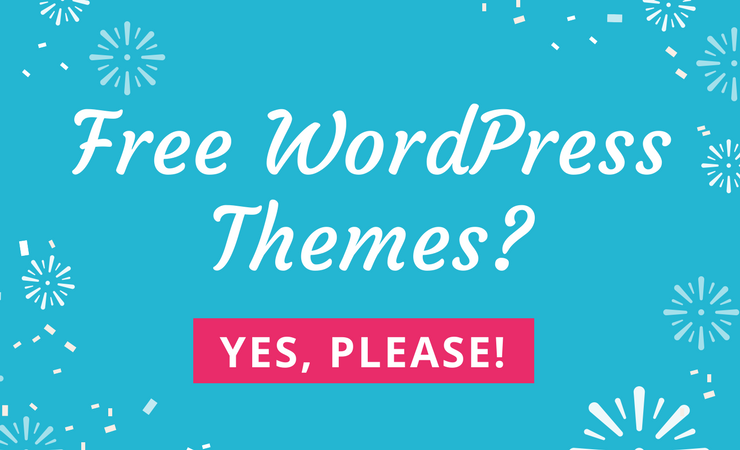 And here’s the other kink when you’re looking for a WordPress directory plugin – you can actually create a directory site using WordPress with either a dedicated theme or a plugin (or both, sometimes!). Should You Use a Plugin or Theme for Your Directory Site? 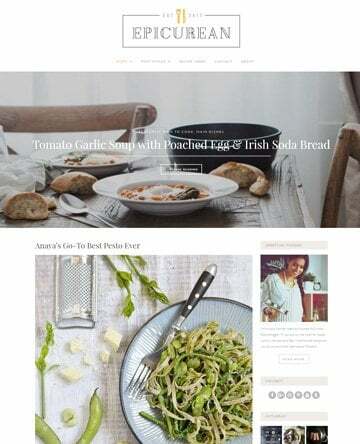 If you’re creating a site that’s 100% focused on its directory functionality, you might actually be better off going with a dedicated directory theme. While such themes are less flexible for non-directory uses, they’re built from the ground up to match the directory functionality. That means everything looks perfect from the minute you install the theme… which isn’t always the case with plugins. 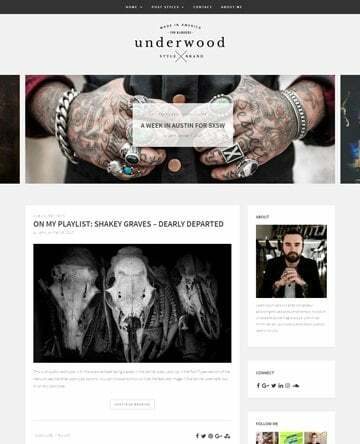 We already put together a list of the best WordPress directory themes. 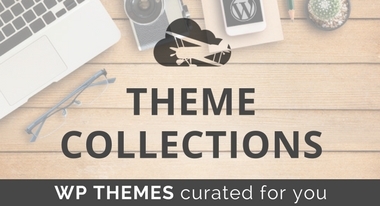 Check that out if you think a dedicated theme fits your situation better. If you go with a plugin, on the other hand, you’re adding functionality to a non-directory theme. That is, you’re retrofitting. If you need to add directory functionality to an otherwise standalone site, plugins are your best bet. But you may need some custom CSS to make your directory site look just right. 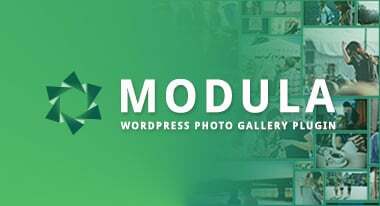 What Are The Best WordPress Directory Plugins? Alright, now that we’ve knocked out the preliminary information, let’s actually get into some of the top directory plugins on the market. I’ll try to give you both free and premium options. Sabai Directory Plugin is a popular premium directory plugin sold at Code Canyon. It’s maintained better than a 4.5-star rating on over 7,300 sales, which is always a good sign. So why are people such fans of Sabai Directory Plugin? Because as far as directory plugins go, it’s pretty feature-rich. First off, you can add custom fields with a visual form editor, which gives you a great deal of control over your listing pages. Then, visitors can search by keywords, categories, distance, location, as well as any of the custom fields that you add. Again – this helps readers find what they’re looking for and gives you plenty of flexibility to adapt the plugin to your specific situation. You can display your listings as either a list, grid, or map. And if you choose the map view, visitors can interact with the map to refresh the search results based on the map’s position, get more information about each location, and more. As for monetization, Sabai Directory Plugin lets you set up paid listings with custom plans. And it also gives business owners their own dashboard to manage their free and paid listings. In addition to these core features, you also get plenty of other functionality like voting, featured listings, directions, and lots more. Sabai Directory Plugin costs $29 with standard Envato Licensing. Business Directory Plugin is a free core plugin with a variety of paid add-ons. In the free version, you can customize everything about your listing form with customizable form fields. And those who submit a listing via one of your forms can manage their listings from the front-end. You can also customize your search form to show or hide specific fields to get the exact filtering functionality that your visitors need. And the listing page has a sorting bar so users can quickly sort through the search results to refine their queries even further. You can also create paid listing packages and accept payment via Authorize.net. As I said – that’s all for free. If you go with some of the paid add-ons, you can display the location of businesses on Google Maps and otherwise list location-based items. You can also get more flexible uploads, more payment gateways, “claimed listings,” discount codes, and more. Overall, the free plugin is pretty flexible already – and the paid add-ons help you add some of the remaining missing features. Like Business Directory Plugin, GeoDirectory is a free core plugin with a number of premium add-ons. The free version is suited for creating a directory based on a single city or location. You can build a front-end submission form with an easy drag-and-drop form builder, including choosing from 13 different custom field types. You can search and filter based on any of these custom fields – but only with one of the premium add-ons. You’ll also get a variety of Google Maps widgets to display your listings (with even more widgets available in one of the add-ons). With a different premium add-on, you can monetize your site with premium listings and more. Other add-ons get you reviews, BuddyPress integrations, events, and lots more. While GeoDirectory’s free version doesn’t have quite as much functionality as Businesses Directory Plugin, the paid add-ons offer up everything you need… though it might get a little pricey as the number of add-ons you need increases. Web 2.0 Directory Plugin is another premium option at Code Canyon. Like Sabai Directory Plugin, it has a stellar ~4.5-star rating on over 4,400 sales. Web 2.0 Directory Plugin lets you tack on customizable content fields to help give your listing items some flexibility. And you also have the ability to order your listings based on these custom content fields. Furthermore, visitors will be able to search by custom content fields – and Web 2.0 Directory Plugin’s search functionality is set up to work with Relevanssi to improve on the native WordPress search. You can also display listings on a map, which is great for local directories. On the monetary front, you have plenty of options to monetize your directory with the ability to sell sponsored listings, “listing boosts,” and ads. All in all, a solid option if you want to create a local directory with WordPress. Web 2.0 Directory Plugin costs $34 with standard Envato licensing. Advanced Classifieds & Directory Pro is another plugin that comes with a free core version with paid add-ons on top. That being said, the free version is pretty solid, making this a great option for those on tight budgets. In the free version, you can add as many custom fields as needed to your listings and add any of those fields to the included search widget. You can also set up unlimited locations and integrate them with Google Maps, which is good if your directory covers more than one area. Users can access a personal area that allows them to manage, edit, or delete listings. And you can also charge users for featured listings, as well as recurring fee plans (this option is a premium add-on). You’ll also need premium add-ons to set up both the Stripe and PayPal gateways, though. So unless you want to access local payments (which is an option), you’ll at least need the payment gateways add-on. Which Directory Plugin Should You Pick? If you want the most feature-rich free version, I think Business Directory Plugin is your best bet. 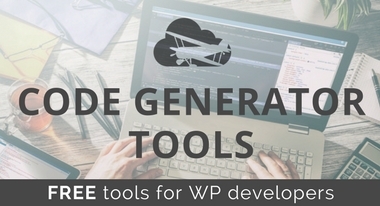 While you still might need one or two premium add-ons, its free version is surprisingly flexible. Advanced Classifieds & Directory Pro is another solid, though less popular, free option. For the most flexibility, GeoDirectory offers heaps of add-ons that give you tons of control over your directory site… the cost of those add-ons can add up, though. So you might end up paying a pretty penny for all that flexibility. 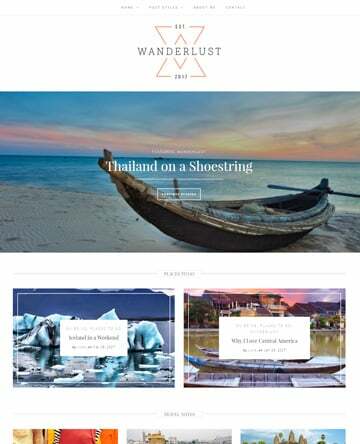 Finally, the two Code Canyon options – Sabai Directory Plugin and Web 2.0 Directory Plugin – offer fairly deep functionality at an affordable price. So if you just want something that’s pretty flexible and won’t break the bank, those are two solid, and well-rated, options. And remember – you always have the option to use a directory theme. 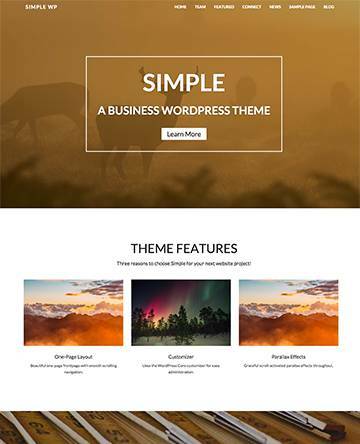 You can even find plenty of free directory themes out there.